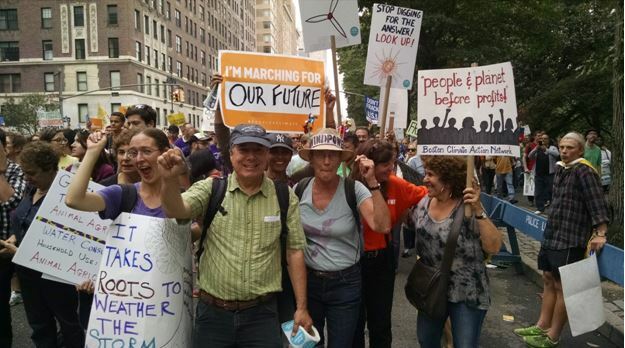 BostonCAN’s message of taking action at personal, neighborhood, and political levels to build a movement for climate justice was echoed by about 400,000 people on New York City on Sept. 21. The People’s Climate March was timed to coincide with a United Nations Summit on Climate Change. According to the UN, “Climate change is not a far-off problem. It is happening now and is having very real consequences on people’s lives. Climate change is disrupting national economies, costing us dearly today and even more tomorrow. But there is a growing recognition that affordable, scalable solutions are available now that will enable us all to leapfrog to cleaner, more resilient economies. While it’s too soon to know what effects the march and related organizing efforts will have, many national organizations collaborated to build a more diverse coalition than at previous national environmental and energy organizing efforts. Signs and banners throughout the march for resilience, justice, and sustainability created an impression of a significantly more inclusive and diverse social movement. 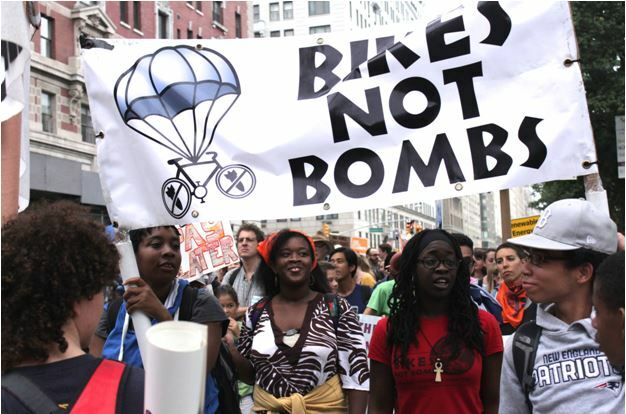 A large number of BostonCAN’s allies organized their members to attend the march, including MassEnergy, Bikes Not Bombs, ACE, City Life, Clean Water Action, Boston Climate Action Network and JPNET. Many BostonCAN members also attended. 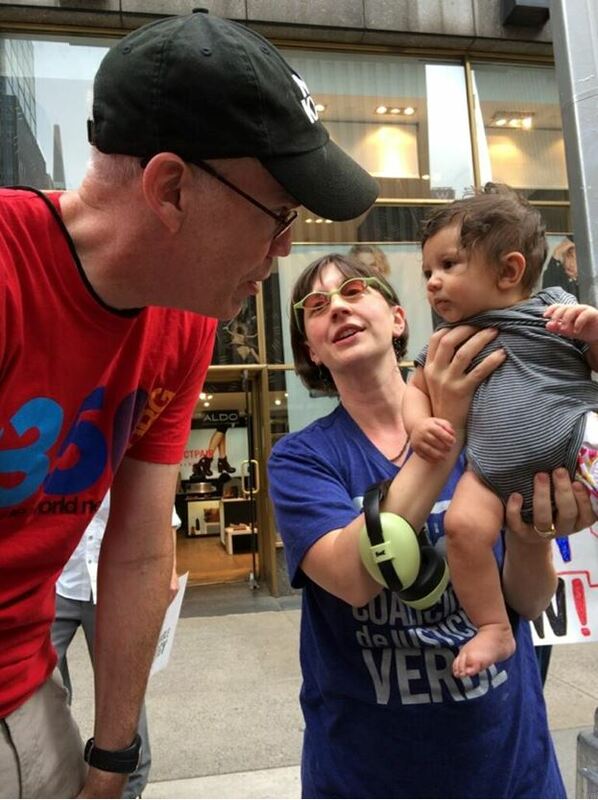 One of the youngest marchers, baby Lula Pearl of Jamaica Plain with , got a personal greeting from 350.org leader Bill McKibben.